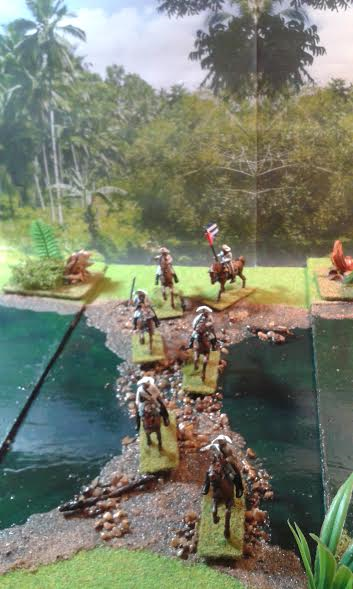 Like many of you I have frequently used rivers in my wargames but they have invariably been quite small and represented with rather crude strips of vinyl, plastic or even painted card. 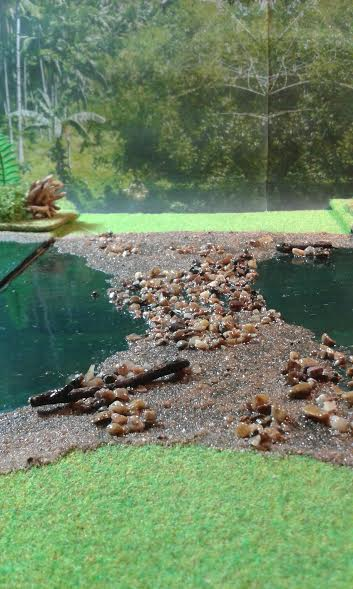 Recently I decided to change all this and up the ante by making a really large impressive river! 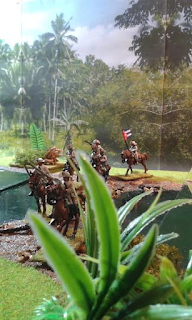 What I had in mind was something which would grace my jungle terrain and do justice to the 28mm armies that I had made for my Ten Years War in Cuba project. I was also intrigued by the idea that something made for 28mm models could later be used for smaller scales such as 20mm or 15mm and would then give a really spectacular feel to the terrain. 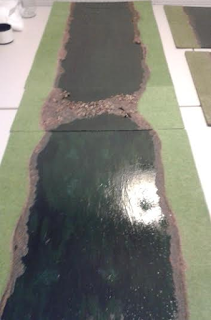 I cut the mat into strips making the actual riverbank a little irregular and then glued the pieces into place with pva being careful to maintain my 10 inch strip of water down the centre. 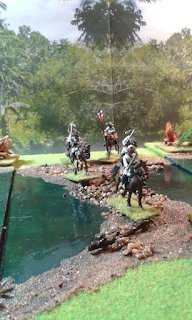 I applied three coats of varnish in total to give a deep gloss finish and I highlighted a few spots with brilliant white paint to represent waves and foam.